Hello everyone and welcome back to our up to date blog record. This is the place where we outline all of the latest news and updates at Casino4U. You will be the first to be notified on any new partnerships, license changes and bonus code updates. First and foremost, we have some great news to share with you all! Our application for the affiliate partnership with GAN Partners has been officially approved. But what’s so exciting about this I hear you ask? Well, GAN Partners is the dedicated marketing program designed to promote WinStar Casino. 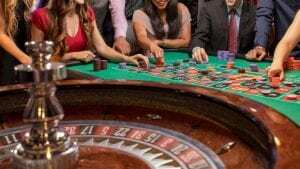 Therefore, we can now make full use of the marketing tools available to us to continue to provide a diverse range of casino sites for you to play. 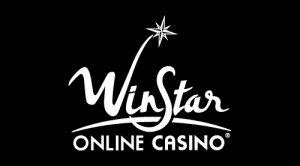 Basically, now that our affiliate account is active we can provide you all with direct access to even more top casino sites like WinStar Casino for example. This is the official casino site which represents GAN Partners. Because of this, you can now expect to receive the latest updates on the promotions and gaming options available here. For example, sign up now to receive your welcome bonus. Basically, this gets you started with an awesome 100% bonus on your first deposit up to £100. Of course, that’s a good start. However, what else have we got in store? You will get 100 bonus spins too! You may sign up and start playing immediately. Please feel free to leave a comment below in the comment section and express your thoughts about this new partnership. Finally, if you have not yet played at this particular site, see our WinStar Casino review for a more detailed description. We look forward to bringing even more partnerships to our Casino4U database in the near future. And of course, you guys will be the first to know about any information which may improve or affect your gaming experience with us.